Anxious athletes, coaches and Gym Revitalization Project leaders gathered for a quick blessing of the oak flooring on Monday afternoon. 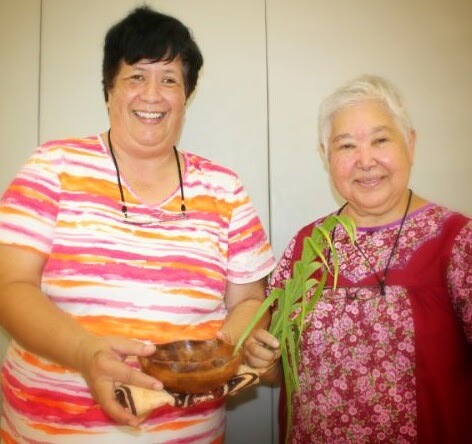 Sister Katherine said a prayer, blessed the beautiful new court and those that were present, as well as all who will be enjoying the future activities in the revitalized gym. Blessed, & Ready For The Girls To Practice On! 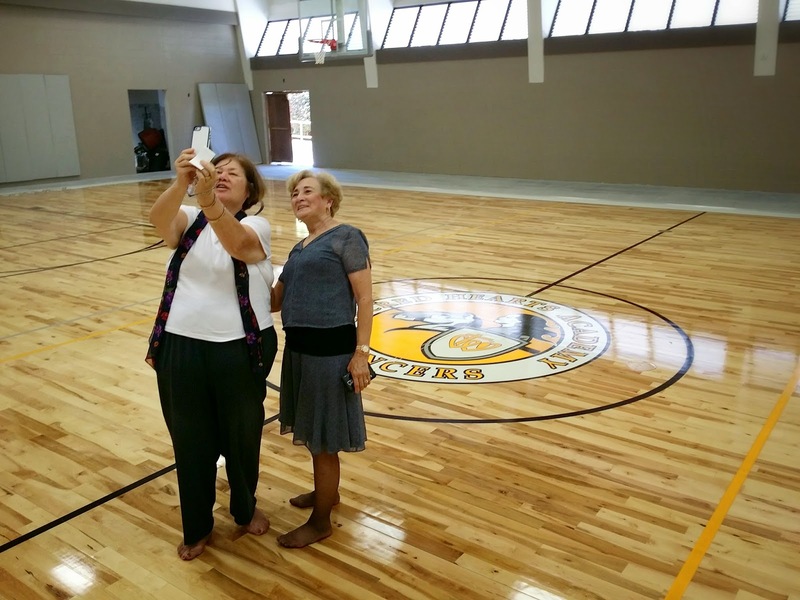 Following the blessing, Andrea Hamilton (Director of Development) and Betty White (Head of School) shared a photo of what was probably the first "selfie" taken and posted online with the new gym floor in the background. This officially announced that the court was ready for use. The revitalization project is not complete. The bleachers are currently en route to the Honolulu ports via boat and they are anticipated to be on island by the end of the week. The locker rooms and other facility support rooms are also still being worked on. For now, at least the court is available for the athletes to practice on. In case you were wondering if Mrs. Hamilton and Mrs. White actually did take a true "selfie", here is the proof of that moment. For more Lancer Athletics updates, follow @LancerAcademy on Twitter.